"I was walking along the boardwalk looking at the ocean when she flew right up next to me!" 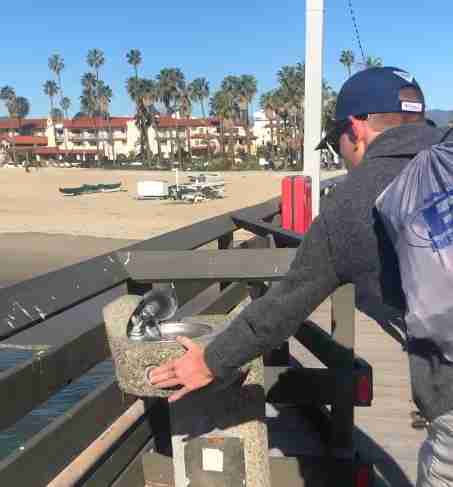 Sometimes it only takes a few seconds to help a fellow creature — and thankfully a nice guy walking along a boardwalk recently was attentive enough to notice the opportunity. Arizona resident Jack Neal was exploring Santa Barbara, California, soaking in the scenic coastline with his mom, when a wild pigeon decided to join them. "I was walking along the boardwalk looking at the ocean when she flew right up next to me!" Neal told The Dodo. When the pigeon landed on a nearby water fountain, Neal was still watching her — and it was almost as if she caught his attention on purpose. 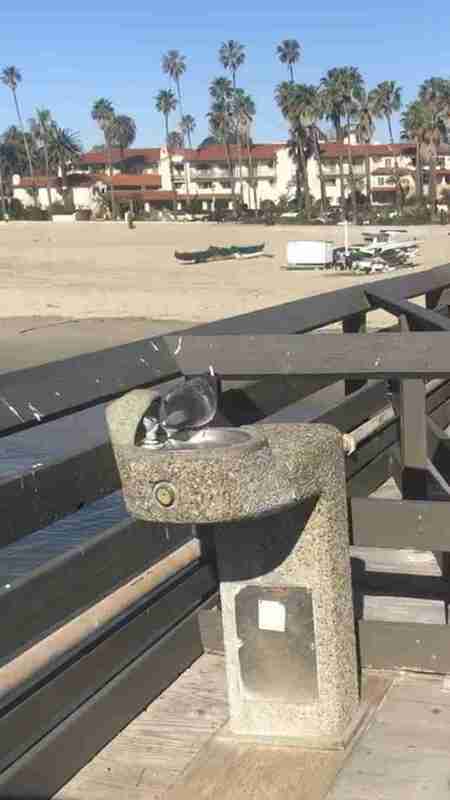 "She looked like she was struggling to find greasy water from what was left in the water fountain," Neal said, "and I thought she could use some help." 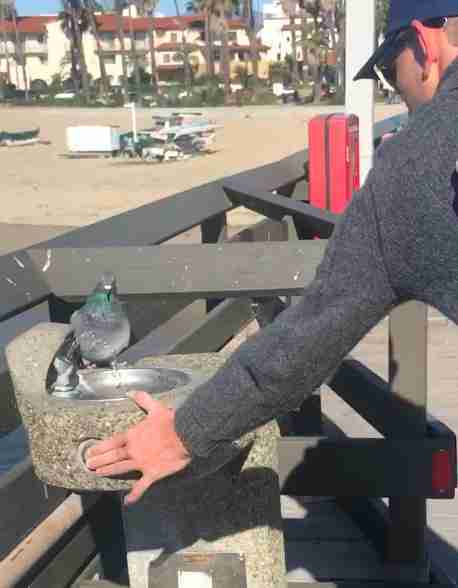 Being a wild pigeon is great for flying — but less than ideal when trying to operate a water fountain. So Neal reached over and pushed the button for her. The pigeon was apparently satisfied, leaning into the stream of fresh water several times for long sips while Neal stood there holding the button. Neal's mom was clearly pretty proud of how courteous her son was toward the pigeon. "She shot the video because she thought it was cute," Neal said. "I have two dogs, two cats, and an especially rambunctious bearded dragon," Neal added. "I’m definitely an animal lover!" And, if this pigeon is any indication, animals seem to love him back, too.